I found your listing on AgentMarketing. Please send me more information about 755 Wainaku Street in Hilo as soon as possible. 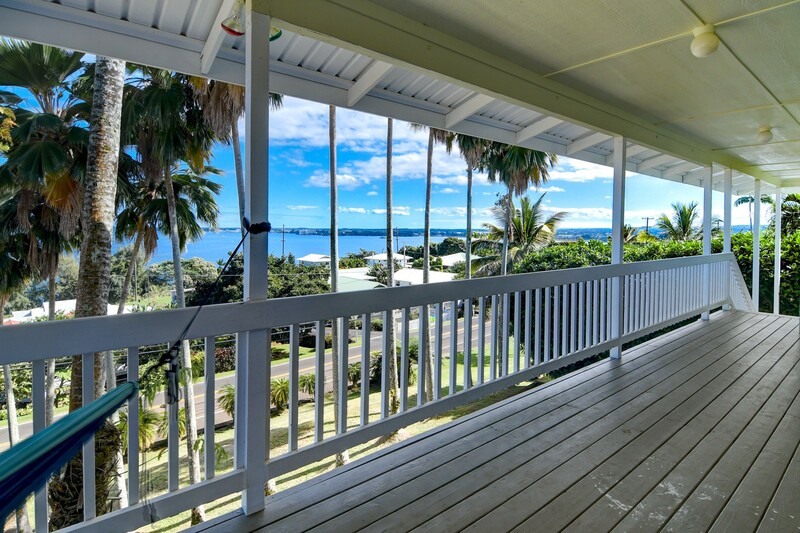 Step inside this magnificent contemporary fortress atop a hill to find one of the very best ocean view homes in Hilo! 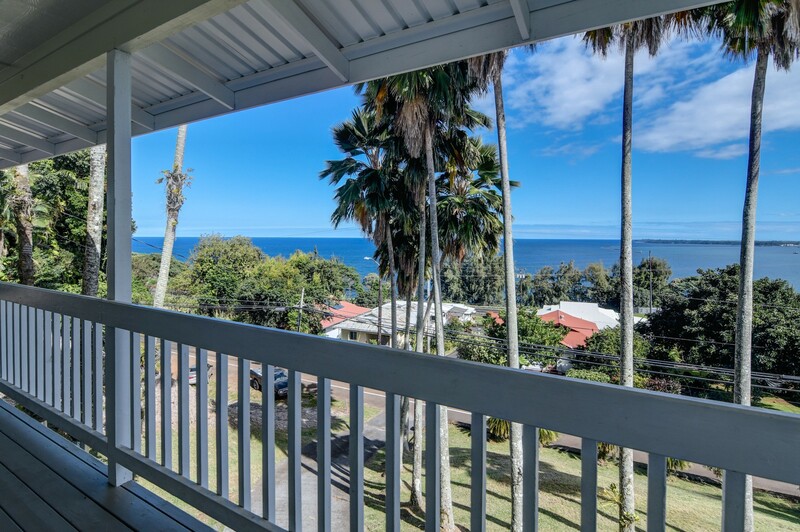 Set 200 yards from the ocean, and 100 feet above, the views are virtually unparalleled! 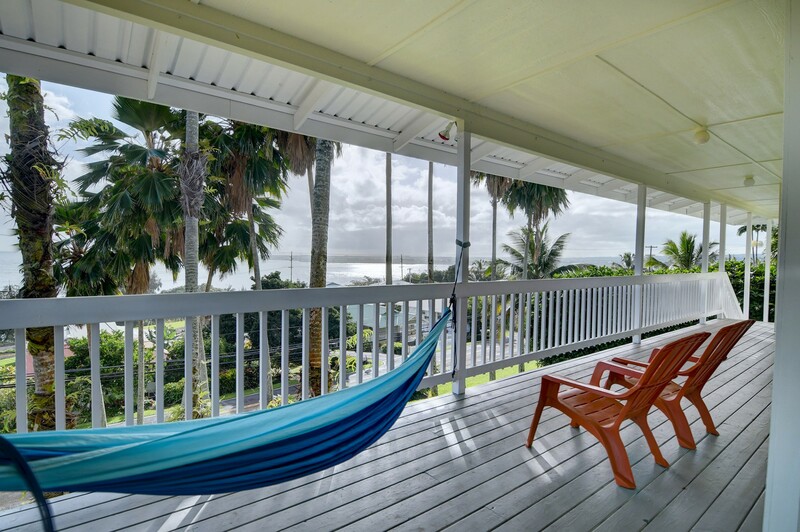 Watch the whales and the passing cruise ships while reclining on the massive balcony that surrounds the front of this impressive home. But it's not all Views, Views, Views — it's also got Location, Location, Location! 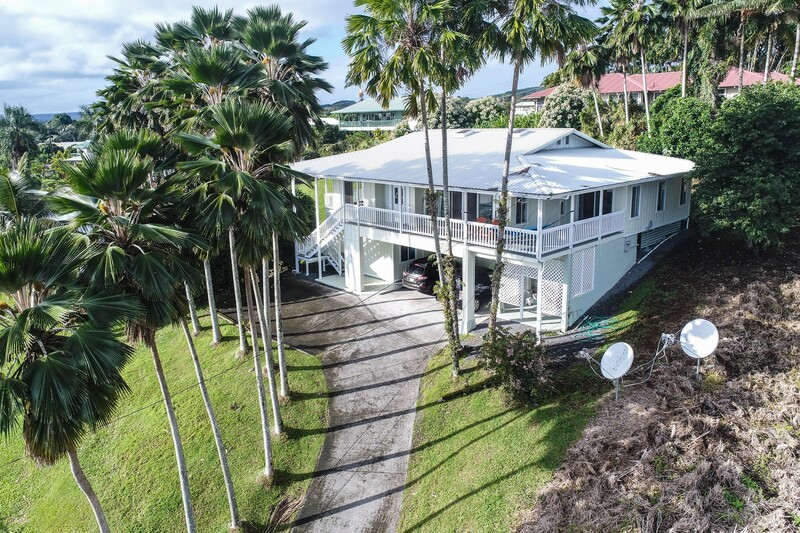 Located just 1.5 miles north of Old Town Hilo, this fabulous home has easy access to Hilo shopping, UH-Hilo, Hilo Medical Center the Hilo Airport and highly regarded Ha'aheo Elementary School! While the views are extraordinary, and the location is exceptional, the home itself is a contemporary work of art. 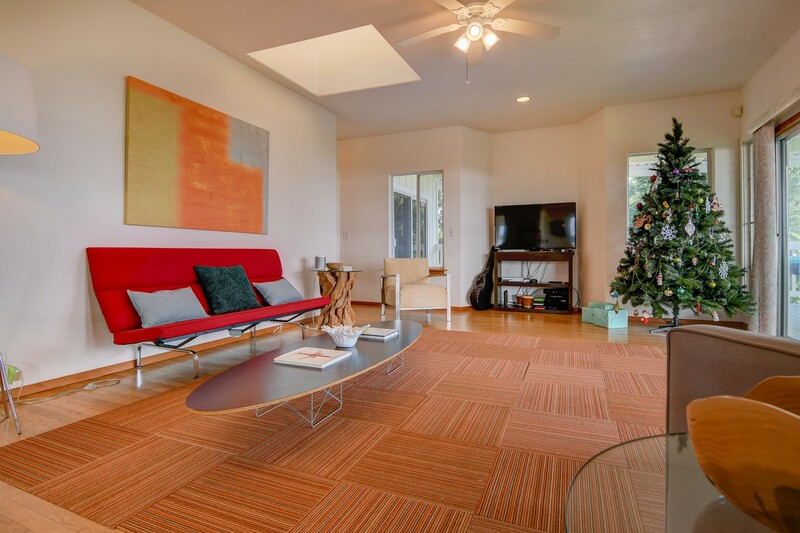 You'll first notice the 9 foot ceilings that make the space feel grand and airy. The 4 skylights throughout the home add yet more elevation and light. Solid oak floors add warmth. As you tour the space, you discover the magical views of big blue ocean are visible from almost every room! The rooms are cleverly laid out to make the deck and the views as accessible as possible. Each room is spacious and comfortable, with large windows allowing in maximum light. With it's grand master bedroom and bathroom suite, walk in closet, over-sized bathtub with glass block shower, and dual sinks, you may never want to leave! The spacious kitchen has ample storage, a pantry and ready access to a breakfast nook on the deck overlooking those (yes, again!) big blue ocean views! Weighing in at 2,641 square feet including a bonus room, this superlative home offers 3 bedrooms, 2 bathrooms, a dining room, additional pantries, space for a jacuzzi at the carport and a variety of fruit trees on the 11,765 square foot property. Built in 1993, this home is still relatively new, and it's full of surprises, like the custom rounded corners of every wall and window well that remind you daily how very special this home is! Are you ready to own your dream home?